If you’re walking away from your weights-based workout feeling like you could have given it more, chances are you should have. It’s challenge that makes change, so next time you’re in a BODYPUMP™ class pick a couple of tracks where you think you can up the ante and add an extra weight plate or two to your bar. Remember though, if at any time you feel that lifting a heavier weight is compromising your technique stop for a few reps and reset before joining back in – or simply drop your weight back down and try to increase it again next class. Checklist: Should you be lifting more? The challenge is gone. If you regularly do a BODYPUMP workout and can easily breeze through the motions you need to look at your load. With strength training the whole point is to overload your muscles so they get stronger. If it’s not a challenge then it’s time to increase your weight. You’re not getting hot and sweaty. It’s a common misconception that only cardio training raises your heart rate and burns calories, but the strength training of BODYPUMP can do just the same. If you get to the end of the squat track and you don’t have sweat dripping from your elbows, chances are you’re not lifting enough. You could keep going and going and going. If you’re not hanging out for the end of each track then it’s likely that your resistance is too light. Effective strength training relies on your muscles reaching fatigue – which feels like you couldn’t possibly do another repetition without compromising your form. You lift the same weight every workout. Continual progression is the key to getting the most out of any strength training. You need to lift more weight as you get stronger. You’re not enjoying the same results as when you started. Your muscles need to be continually challenged in order to grow. If you keep training at the same workload your muscles won’t be challenged and your progress and results will stop then and there. Fear not, increasing the weight you lift during BODYPUMP doesn’t mean you’re set to turn into the incredible hulk. The huge amount of reps you perform during a BODYPUMP workout (around four times as many as a person typically achieves when training alone) help you burn more calories and achieve more meaningful fat loss and muscle fatigue – and this is what builds strength without building bulk. 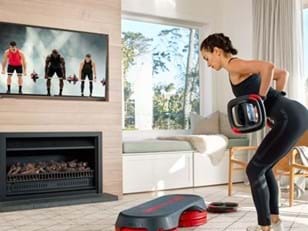 If you're looking for added challenge the 100th release of BODYPUMP could be just what you need. With over 1000 reps and a massive focus on power and intensity, BODYPUMP 100 will push you to your limits. 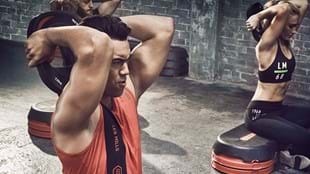 Find out how you can be one of the first in the world to experience this epic workout at bodypump.com. Learn more about BODYPUMP and The Rep Effect here. 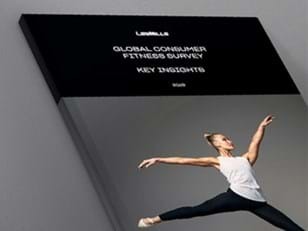 Find a BODYPUMP class or get 24/7 unlimited access to online workouts with LES MILLS On Demand.